The DL staff concurs that the LG G3 is one of the best, if not the best, Android phones on the market, so any news that more people will have the option to buy one is good news. Today, U.S. Cellular announced that the handset will launch on its network in October. 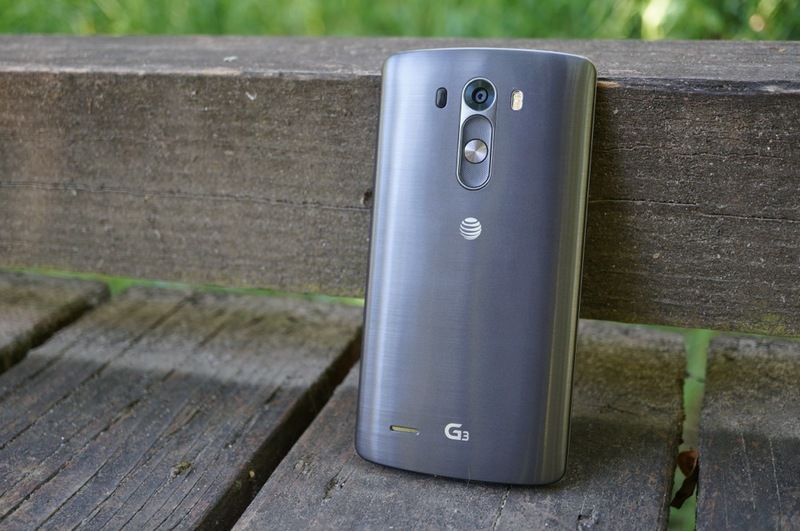 The LG G3 will be available in U.S. Cellular stores and online. Qualifying Shared Connect subscribers will be able to purchase it $0 down on a 24-month payment plan. If you are looking to upgrade, and U.S. Cellular is a must, then the LG G3 is a logical choice. Devices worth waiting for, like the Xperia Z3 and Nexus 6, might not make it to the carrier right away. That should not bother you, though. The G3’s stunning display, tasteful UI, and outstanding camera should keep any device envy at bay for a good long while. CHICAGO (Sept. 30, 2014) – U.S. Cellular (NYSE: USM) and LG Electronics have announced that the 4G LTE™ LG G3 smartphone will be available in stores and online starting in October. The LG G3 is the first Quad HD smartphone available for purchase in the United States and is widely recognized as one of the year’s best smartphones. Qualified customers will be able to add it to their Shared Connect plan and get it for $0 down using U.S. Cellular’s equipment installment option. Customers who purchase the LG G3 from U.S. Cellular receive a valuable rewards program that recognizes customer loyalty and a network that covers them wherever they want to go. Currently 90 percent of U.S. Cellular customers are covered by a 4G LTE network, and more than 93 percent of customers will have 4G LTE speeds by the end of 2014. The LG G3 raised the bar in the flagship smartphone category with the first 5.5″ Quad HD (2560 x 1440) display available in the U.S. That, powered with a Qualcomm Snapdragon™ 801 Quad-Core Processor, transforms the smartphone visual experience with clearer resolution than most televisions, bringing photos, videos and games to life. Plus, downloading videos, music, apps and documents is blazing fast over a 4G LTE network. The 13 megapixel rear camera with Laser Auto Focus takes fast action photos even in low light. The Gesture Shutter feature on the 2.1 front-facing camera allows for better selfies and group photos by letting people start a 3-second countdown by simply raising their hand and making a fist. These photos and videos can be stored on 32 GB of internal memory (up to 24GB usable), or through a microSD slot that supports cards up to 2TB. “Touted as one of the best phones of 2014, the LG G3 on a 4G LTE network brings speed, power and performance to U.S. Cellular customers looking for a superior smartphone experience,” said Morris Lee, senior vice president and head of North American sales and marketing, LG Electronics MobileComm U.S.A Inc.
With U.S. Cellular’s $0 down equipment installment option (for qualified customers), customers pay tax on the LG G3 at the point of sale, and then make 24 monthly payments that are conveniently added to their wireless bill. Customers can upgrade this device in as little as 12 months if they trade it in for an updated model, and they can also choose to pay off the full balance of their device anytime they want. New Equipment Installment Contract, Shared Connect Plan and credit approval required. Financing terms are zero down, zero APR; 24 monthly payments. 4G LTE not available in all areas. See uscellular.com/4G for detailed coverage info. 4G LTE service is provided in partnership with King Street Wireless. LTE is a trademark of ETSI. Additional terms, conditions and/or charges may apply. See uscellular.com for details. U.S. Cellular rewards its customers with unmatched benefits and industry-leading innovations designed to elevate the customer experience. The Chicago-based carrier has a strong line-up of cutting-edge devices that are all backed by its high-speed network. Currently, nearly 90 percent of customers have access to 4G LTE speeds, and more than 93 percent will have access by the end of 2014. U.S. Cellular was named a J.D. Power and Associates Customer Champion in 2014 for the third time in four years. To learn more about U.S. Cellular, visit one of its retail stores or uscellular.com. To get the latest news, promos and videos, connect with U.S. Cellular on Facebook.com/uscellular, Twitter.com/uscellular and YouTube.com/uscellularcorp. About LG Electronics MobileComm USA, Inc.
LG Electronics MobileComm USA, Inc., based in Englewood Cliffs, N.J., is the U.S. sales subsidiary of LG Electronics USA Inc., a global innovator and trend leader in the global mobile communications industry. LG is driving the evolution of mobile forward with its highly competitive core technologies in the areas of display, battery and camera optics and strategic partnerships with noted industry leaders. LG’s consumer-centric products ― including the flagship premium G Series models ― incorporate unique, ergonomic designs and intuitive UX features that enhance the user experience. The company remains committed to leading consumers into the era of convergence, maximizing inter-device connectivity between smartphones, tablets and a wide range of home and portable electronics products. For more information, please visit www.LG.com.